- Van Heusen Men's 3.4 Ounce Long sleeve Twill Dress Shirt. 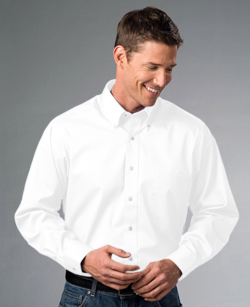 - 3.4 ounce 55/45% cotton/poly wrinkle-free fabric. - Button down collar, left chest pocket. - Ladies has ¾ sleeves, men's have long sleeve with button cuffs. Prices may vary based on payment method. Please select color and enter quantity to add the product to cart. Van Heusen Men's 3.4 Ounce Long sleeve Twill Dress Shirt. 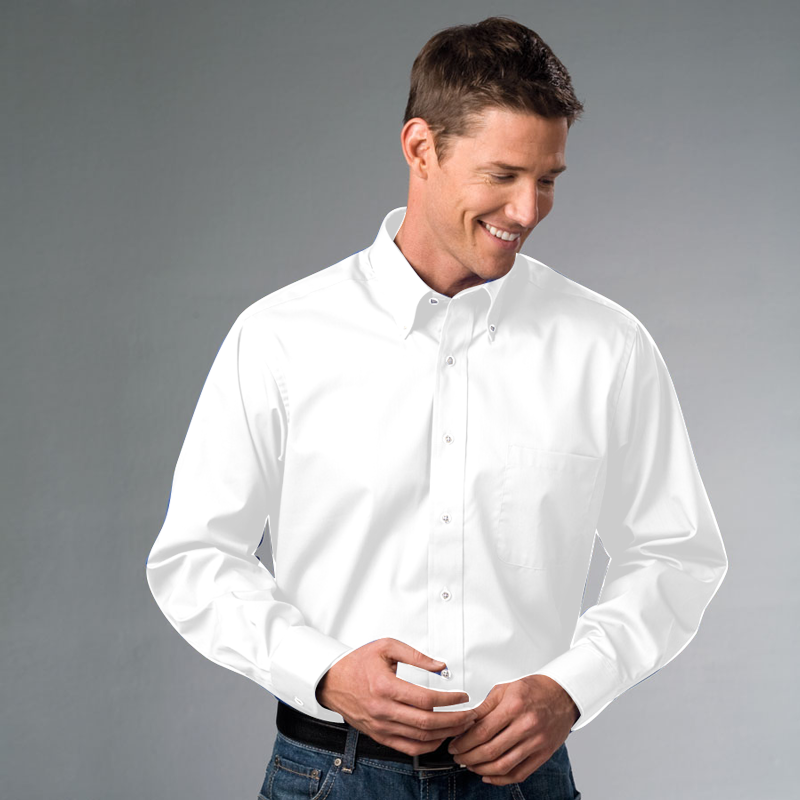 3.4 ounce 55/45% cotton/poly wrinkle-free fabric. Button down collar, left chest pocket. Relaxed fit. Ladies has ¾ sleeves, men's have long sleeve with button cuffs. Sizes: S-3XL. Colors: White, Black, Cobalt, Khaki, Navy, Royal (Men's only), Scarlet.